CATUBIG, Nick Y of Dorchester, passed away at home surrounded by his loving family and friends, April 9, 2019. 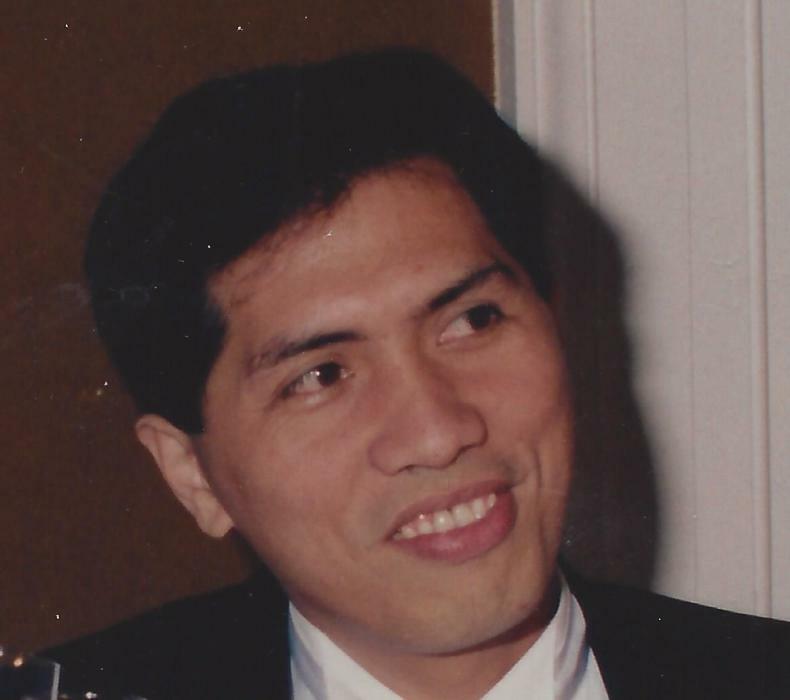 Beloved husband of Mary Ellen Corrigan-Catubig. Loving father of Nicole and Christopher Catubig. Cherished son of Leoniza (Yosores) Catubig and the late Godofredo Catubig. Devoted brother of Ruth, Adelita, Janet, Lyn and the late Warren. Also survived by 12 loving nieces and nephews. Visiting hours in the John J. O’Connor & Son Funeral Home, 740 Adams St. (near Gallivan Blvd.) DORCHESTER, Friday 4 to 8pm. Funeral Mass in St. Ann Church NEPONSET, Saturday morning at 10 o’clock. Relatives and friends are respectfully invited. Member of IBEW Local #2222. In lieu of flowers remembrances may be made to the Dana Farber Cancer Institute. Interment Cedar Grove Cemetery.